Preparing your home for winter doesn’t have to seem like a daunting task every single year. 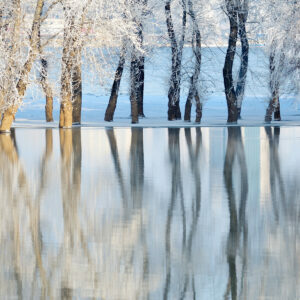 Instead consider these tips for easy winterization and know your lake house is winter-ready. Clean the gutters. With the falling leaves cluttering up the gutters, it is easy to get a clog, making it hard for snow and water to move off the roof. Make sure to clean your gutters before the snow arrives to ensure that you won’t have to do this while it is cold, icy, and snowing outside. Clean your furnace. Making sure to get all the built up sediment out of your furnace is a great way to keep up with maintenance so that it lasts a long time. This will also help to avoid fire hazards. If you keep your furnace clean, it also works more efficiently and can reduce your heating bill. Be sure that all windows and doors are sealed securely. Even a tiny crack in the window or door can bring in a lot of cold, unwanted air. Lighting is important. Because winter brings with it less sunlight hours, be sure to have extra lighting, especially for the outside. In colder climates, salt the walkway and driveway. Walking on a snowy and icy surface is unsafe, especially if your hands are full or you have children. Keeping the walkway salted helps to ease the stress and keeps it ice-free. Having shovels ready to go to keep your driveway clear, allows you to move your car without getting stuck. Trim overgrown trees—untrimmed trees serve as catchalls for the ice and snow. Build up can quickly overload the tree and even break it. If the branches are over your house or near common walkways, it is a potential hazard. Put away any outdoor items that will not be used in the winter, including hoses, sprinklers and BBQ grills. We all want to be sure our house is safe and warm during the winter months. 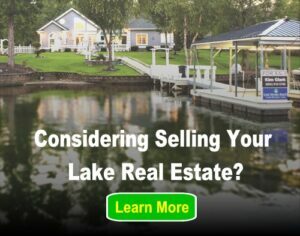 Following the tips above will help ensure your lake home is prepared for colder weather. Additionally, these tips will help you create a warm and cozy environment without having to stress, or pay extra, allowing you to focus on the holidays with friends and family!